Freshly renovated and move in ready. This may be the perfect bachelor pad in Vancouver. 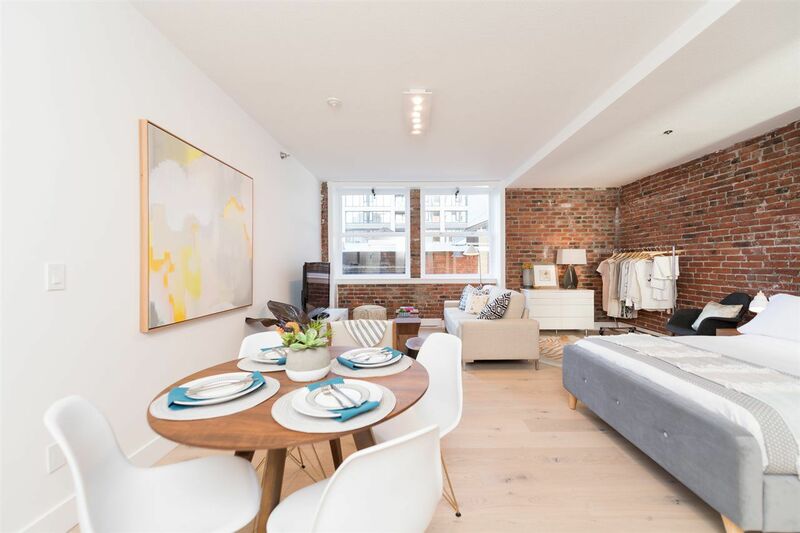 Totally renovated in the past month with stunning floors, fresh paint, new bathroom vanity, new kitchen and all new appliances all while being smack dab in the middle of Gastown. Step outside your door and you're in the heart of the city and only seconds from the best restaurants, coffee shops, boutiques, sports venue etc. Truly a great cityhome that should be seen to be appreciated. Showings start immediately so call today or come by one of the opens Sat/Sun July 30/31 from 1-4pm.